Well the wait for the flies was definitely worth it! I fished a qualifier on the River Dee on Sunday and the grayling special red micro nymph's I bought from you did very well. I would love to tie more of them, can you please let me know which materials I need to buy from you to tie them. (I would like to buy all the materials required for it from you if possible please) The purple/red thorax mix which seem to have some uv in it looks fantastic. Was planning on going to the BFFI show on the weekend to see you but managed to get into another qualifier on the weekend, I was on the reserve list. Hi Jan,I just returned from Lapland trip. The waters we fished are very big and fast in some places and I found the techniques you taught me absolutely invaluable. I caught 25 grayling, some of them in the 700 gram range, on one occasion. The Maxia is also a very nice rod indeed as you described. I hope to get an intermediate #2 line so that I can use it in the reservoir fishing too, but a line from Orvis I have seen is twice the price here than the same line in the U.S.! Dear Jan, just to let you know. I got the flyboxes I ordered from you 2 days ago! This must be close to a record time. Thanks for exceptional service. I just wanted to tell you I have really enjoyed your website, your products and your knowledge since I found them and learned about Czech Nymphs. You haven't known it, but you and fishing these nymphs are helping me have a lot of fun. Hi Jan, Thanks once again for a very educational weekend. Although I clearly missed a lot of takes there is no doubt that what you had taught was for me a huge revelation. Ad and Harry clearly enjoyed it and there’s discussion of doing a follow up Masterclass in the spring of next year. We would once again like it if it could be an exclusive weekend with the three of us. I’ve got to figure out a way of not getting cold toes next time! I just wanted to write and thank you formally for the excellent masterclass. I like to think that I already had a good knowledge of czech nymphing, but I left with a much greater appreciation of a wide range of methods and many new ideas. I also enjoyed your company and now feel I have a friend in the Czech Republic. As a bonus I also caught a few nice fish. The river itself was a lovely piece of water in some very beautiful countryside. The accomodation and food were also excellent. I'm very interested in returning for the Grayling fishing this autumn. Dear Jan, I would like to inform you that I have received ordered items this morning and everything is there. I'm really impressed with quality of finishing the flies. Nymphs are unique and remarkable with precise details and I must say that you are a true artist. Thanks once again, "Bistro" and tight lines! I am always trying materials that will add some "sparkle" to a "presentation"...so that there is some visibility to it. Sometimes I find sources for these "attractions" in some kind of weird places. For, example, my wife uses clear fingernail polish with pearlescent glitter added to it...and when I saw that...a gleam came to my eye...that I could use this "stuff" for flies. The other day she brought in a "clear" fingernail polish that had pearlescent glitter added to it. I was lucky by brain clued in on that...because it can be used to coat plastic strips and wing cases for nymphs. I am sure those "shrimp foil" ideas came about the same way...and so they prospered into some prosperate and consumer gains in providing "sparkle" to the what would be just "crap" to the stream ! I am all for it ! More "sparkle" has a greater potential for attracting fish ! Even trout ! So, I am glad someone has created at simpler way of accomplish the same thing with "shrimp foil". It saves a few steps in trying to accomplish the same thing. I would just like to formally thank you for the trip. It was just what I needed and I really enjoyed myself despite the fact that the fishing was not too successful. I know of nowhere in the world where air temperatures of over 40 deg centigrade and the weather varying between bright sunlight and thunderstorms is conducive to good trout fishing so it was clearly the weather that was to blame for my failure to catch very much or anything of any size. It is in fact a tribute to your skills and knowledge that I managed to catch anything at all. Despite this the scenery and the rivers were beautiful, I was very impressed by the quality of the accommodation and restaurants that we used. I also very much enjoyed your company. By the end of the trip I felt that I had a new friend and it was a pleasure to learn Czech nymphing from a real expert. The flies you tied are already in the collection box with others spread between my various "fishing" flyboxes. thanks for my materials really imppressed with the quality . Enjoyed the dvd on fly tying hooks are superb im sure they will inprove my catch rate. What rod were you using on the dvd? Which winston rod would be good for czech nymphing? What kgs stroft line would you recommend for czech nymphing? Over her in britain we use pounds and i dont know how to convert. Thanks for the free fly i will be copying that pattern for my local river its on the dee in Llangollen were you won the world championship any tips on how to fish it? I have only been fly fishing for twelve months and i love it but still lots to learn. I will be definatley buying more material and bits of you. I am going to buy one of the dubbing maker block becauseIi always struggle to make dubbing and im sure this will help me. Once again Jan thanks very much hope you can find time to answer my questions sorry to go on a bit . The last order of flies arrived today, thank you, merci, am pleased to report that my Czech nymph box is now exclusively Siman. The quality versus ... is simply non comparable, you deserve to dominate the market. Thanks also for the gifts of tying material, sadly I have precious little time outside of work to fish let alone tie flies but it will go to a good home and no doubt another new customer for you. I received my order yesterday. Great stuff, thanks. I was pleased to notice that everything I ordered was there. It was an order containing many different small items. Normally when I have ordered this amount of little items from a web store, something is missing. So you are warmly welcomed exception in this rule. my order arrived today in perfect condition - top quality material !!! !.Thank you a lot for your free samples of artifical peacock dubbing- great stuff. Thank you and your Team for this perfect Service. Best regards and Tight Lines !! I just found your website and was most impressed with the information it contains. 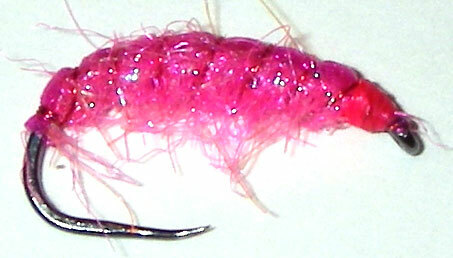 I have been buying and using lots of your Magic Shrimp Foil and other products through my friend Steve Korbay at www.flytyingspecialties.com. I was first introduced to the Czech methods a couple of years ago and have since incorporated them into my own fishing with incredible success. I have worked in the fly fishing industry here in the U.S. for over twenty years and I do a lot of writing for several magazines. I did an article on the Czech method in California Fly Fisher and was amazed at the response. I have converted many anglers in Nevada and California to the Czech method and your materials. It is truly the most effective fishing method that I have ever used. The main reason for this e-mail was just to pass along many thanks from those of us in the U.S. for your wonderful materials and the knowledge that you have shared with us. If you ever make it to Reno, Nevada I would be happy to take you fishing on the waters where we use the Czech method. Again many thanks for your fine materials and for sharing your knowledge with anglers around the world.